First manufactured in 2002, the Trailblazer is one of the best selling SUV’s in history. Known for its safety, reliability as well as its power, luxury and style, it makes sense that the options available for customizing your Trailblazer number in the thousands. 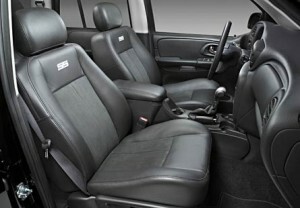 Trailblazers have a variety of trim features to truly customize them and make them stand out from the crowd. From the post trim to the grill, chrome assist steps to the molded, tinted hood protector, we carry the parts and accessories to customize your Trailblazer. In addition, offering a number of styles from the LS to the LT and even the EXT, there are thousands more parts to choose from as well, each designed with one specific vehicle in mind, the Chevy Trailblazer. Whether improving your vehicles performance, maintaining the body or engine or just providing some flare, using only genuine GM OEM parts ensure the life and performance of your vehicle.Parts made easy, GM-Car-Parts.com offers genuine OEM GM parts and accessories for your Trailblazer, or many other GM vehicles spanning 5 decades. Order your parts online and avoid the lines, save money and be confident that you are getting the right part by ording from GM-Car-Parts.com. The first time that a productions SUV wore a Super Sport badge, the Trailblazer SS offers a lot of horsepower and more. Ideal for almost anyone who likes a practical and useful yet classy SUV, it’s easy to see why there are so many on the road today. 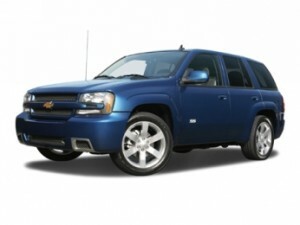 Gm-car-parts.com has the parts for your Trailblazer SS that you’re looking for. We carry all the OEM replacement parts as well as the full line of available accessories. Exhaust tips, taillights and emblems, we have it all in our easy to use catalog. Pay less than a dealer and enjoy the convenience of shopping when you want to on our online site. Our staff checks your order with your VIN so that you get the right parts. Try us today. Most orders ship within 24 hours from our Michigan location. You may expect to see your orders within 2-5 business days. All parts are shipped via FedEx Ground unless other shipping methods are selected. FedEx next day second day air shipping is available upon request. *Free ground shipping on orders over $300 as long as it is not oversized, overweight or shipped outside the continental USA. Orders shipped outside of the country are shipped FedEx International Express and usually takes 2-3 business days as long as it is not held up in customs.